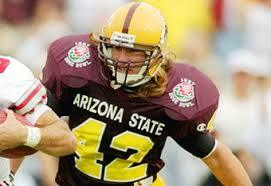 "If it were my decision Pat Tillman would have been a 1st ballot Hall Of Famer." It was a gracious thing to say, a gesture of remembrance and respect. "IMO: Silly to confuse patriotism with athletic greatness. Some will disagree with me. That’s fine. It’s a free country." 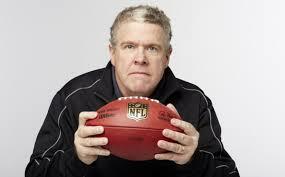 "Football players should be judged for the Hall of Fame based on their football credentials. Nothing else." "My feelings about this, as a voter for the Hall, is players should be judged for football only. Nothing else." Here in Arizona, where we were privileged to watch Pat Tillman play football for eight years, it's difficult to agree with Mr. King. But, the thing is, underneath the emotion and the sentiment, we know he's right. Number 42 was a great college football player at Arizona State, an absolutely remarkable player, one of the all-time greats. In contrast, Number 40 was a good safety for the Arizona Cardinals. That's why when we, the fans who have followed him all the way through, think of him, we think of him as a Sun Devil first, then a Cardinal. (That's also why the 42 goes first, and the 40 goes in parentheses.) 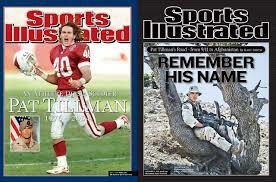 Tillman was a good NFL player, very solid. Better than anyone who was a seventh round pick has a right to be. But no, not great. So, yes, Mr. King. You are right. 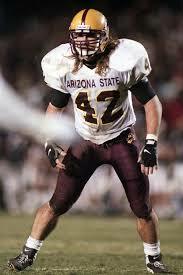 Pat Tillman does not belong in the NFL Hall of Fame. He belongs in a much, much bigger one than the NFL has to offer. Here's a link to a tribute a local radio station (Arizona Sports 98.7) plays every year on April 22nd. If you have a few minutes, listen to it, and remind yourself who Tillman was, what he sounded like, and how he impacted some of those who knew him best. Twelve years on, and it still hurts.